Patients offer important opinions and suggestions regarding health care as well as experience and information from the patient perspective. ADVANCE aims to empower patients to be involved in the research design and implementation process. For more information, please email the OCHIN Patient Engagement Coordinators at PEP@ochin.org. Bring your voice to conversations around health care delivery and research! 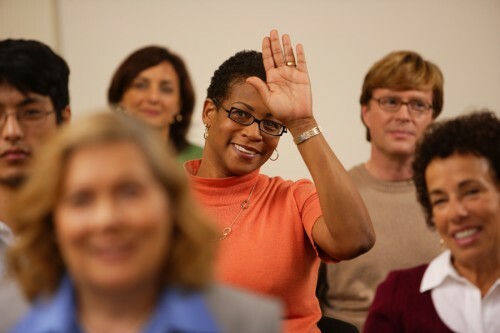 Join OCHIN’s Patient Engagement Panel, or PEP, to share your unique patient perspective and help shape primary care research and improvement programs. Members meet for two hours every four months (February, June, October) at OCHIN or by video/phone for updates,trainings, and a chance to share a meal and spend some time getting to know each other. Project and proposal consults between meetings may be in person, by video, phone, or email. Consult invitations are sent to PEP members on an as needed basis. Many consults include payment or a gift card to thank you for your time taking part. Click here to complete the online PEP application. Being a patient advocate, you can bring firsthand knowledge to the study to match their intellectual interest. 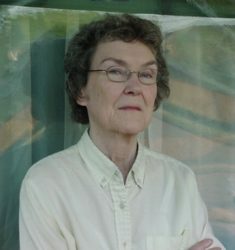 Jean Baker is a long time resident of Portland who is interested in finding methods of alleviating the drawbacks to health caused by Social Determinants of Health. As a member of the OCHIN, Inc. Patient Engagement Panel (PEP) and a board member at OHSU Richmond Clinic, Jean is an avid advocate for patients. Her knowledge is based on years of volunteer work with organizations that raise funds, feed the homeless, and organize food and clothing drives. She became a member of PEP because she wanted to find a way to help patients connect to applicable community resources. It’s surprising that PEP is needed because researchers are also patients. Perhaps they are so focused on the data that they don’t think about the implications of the results beyond the final report. 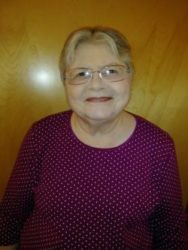 Kay Dickerson is a retired civil service employee who serves as a caregiver and advocate for her husband, who has multiple chronic medical conditions. In her spare time she volunteers with multiple patient and community boards. Since 2007 she has served on the Board of Directors at Oregon Health & Science University Family Medicine at Richmond Health Center FQHC. She is also on the OHSU Richmond Patient Advisory Council and a member of their Quality Improvement Committee. She joined the Community Health Engagement Advocates at CareOregon (Oregon’s Medicaid Managed Care Organization) which lead to lead to many social opportunities, including being in the Starlight Parade, Portland’s annual Rose Festival event. She has attended multiple healthcare advocacy trainings since 2011 and participated in advocacy initiatives at the Oregon state capitol. With enthusiasm to help others and give back to her community, Kay looks forward to continuing her efforts as a PEP member and patient investigator by sharing her personal experiences and insight with healthcare while partnering with researchers. The PEP has been important to me because it gives a voice to the patient that is not actually working in the medical fields. I strongly believe since we are ALL patients, then ALL patients should have equal say in how we access medical care, the options available and to be treated as equal partners in our health care and health care delivery system. After high school Kathy Norman went right into the Army, which is what first sparked her interest in medical advocacy. After her initial training as a combat medic she was the first enlisted female assigned to the post as a medic in a Troop Medical Clinic. As more women were assigned to the post the advocacy began. That theme followed her through college and into her professional career in Parole and Probation. As a corrections counselor it was all about helping people on probation advocate for the services they needed for their success. At that time accessing medical care with addiction issues was a challenge. 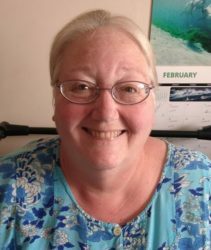 After retiring Kathy found herself in rural Oregon doing volunteer work at her local health care clinic, Winding Waters Clinic (now a FQHC), which lead to her becoming a founding member of thier PAC and OCHIN’s PEP. Social Determinants of Health (SDoH), LGBTQ/SOGI issues, chronic pain/opioid issues and HEP C. These were all areas that were core concerns for the people I worked with before retiring. The biggest lesson I have learned as a patient advocate is that I am valued. My experiences, my opinions, are all valued, as both a learning tool for the researchers, and as a patient in previous research to let others who have never participated in research, to know a little of what they can expect to happen. While all research is different, all of it is also much the same. We all want a good outcome for the benefit of the future. Patty Poston became involved in medical research when she worked on an Alzheimer’s study as Intake Clerk. A decade later, she found herself involved in several studies as a patient, doing everything from simple surveys and medications, to small invasive procedures (blood draws, etc. ), and various hearing tests at the National Hearing Research Center at the VA Hospital as a ‘normal—never been in combat’ for comparison to the Veterans who had been. In March 2014, Patty was asked to get involved in OCHIN’s Patient Engagement Panel (PEP). While she initially wasn’t sure if it was something she wanted to do, after attending her first meeting where attendees were asked to share their opinions on aspects of research from a patient’s point of view and she was amazed that the doctors and research assistants in attendance were actually listening, taking notes, and interested in what else we had to share. To her it made sense that they needed to know these things as most researchers do not have a lot of experience with patient contact, unlike Primary Care Providers who see patients daily. Since then, she’s been involved with OCHIN’s PEP, the Clinical and Patient Engagement Workshop (CAPE), and as a Patient Investigator on the Health Disparities Collaborative Research Group (HDCRG). 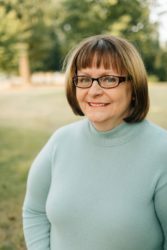 In 2015, she served on a panel at OCHIN’s Annual Learning Forum and served on CareOregon’s Senior and Disabled Advisory Council (COSDAC) from May 2013 – April 2017. 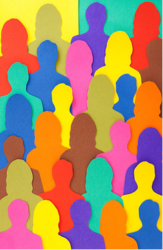 I love working OCHIN Research because I have the opportunity to connect with people, both Patient Advocates like me, and Researchers, from all across the country, and foreign countries, who have common interests–working on the same projects that I care about. Being a Patient Advocate, I feel like I have the ability to speak for people who cannot speak for themselves. I think patient advocacy gives another perspective and the strongest stories come from those who have experienced it (patients). GeorgeAnn lives in Eureka, California with her dog Eva who is a Blue Heeler. She graduated from Humboldt State University with a Master’s degree in Psychology and is currently enrolled in the local community college (College of the Redwoods) studying Digital Media looking toward making commercials, radio ads, and billboards. She has one son and five grandchildren whom she spends lots of time with on the weekends. GeorgeAnn has lived in Humboldt County for 24 years where she has been a teacher and involved community member. She volunteers at her local clinic (Open Door Community Health Centers), Partnership Health Plan of California (Medi-Cal or Medicaid), and Seeds of Change (a local group that fights stigma and discrimination by telling stories of lived experience). Speaking up for myself and for others. It is important to me to have a voice in what happens. If you are interested in conuslting with the PEP, please complete this form and send to PEP@ochin.org and PEP Coordinators will respond within 5 business days.